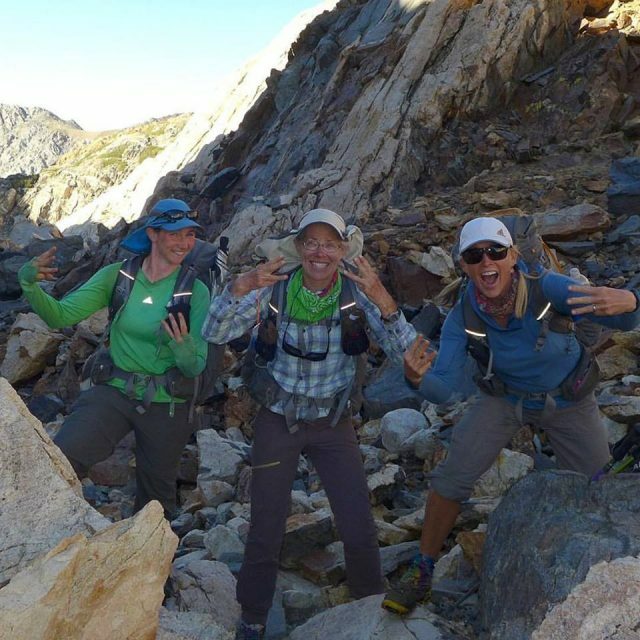 Last week I shared a photo on social media of three friends of mine on the Sierra High Route. What I didn’t mention is that two of the ladies pictured, namely Christy “Rockin” Rosander and Nancy “Why Not” Huber, are 58 and 63 years young respectively. (L to R) Wired, Why Not & Rockin’ reaching the top of Horseshoe Pass; the 33rd and final pass of the Sierra High Route (photo from ladyonarock.com). I mention their ages now because I think it’s a great example of one of the things I love about hiking; the irrelevancy of how old you are out in the backcountry. Let’s take a closer look………..
Rockin’ & Why Not just finished one of the toughest hikes in the lower 48 states. More importantly, they had the time of their lives in doing so. 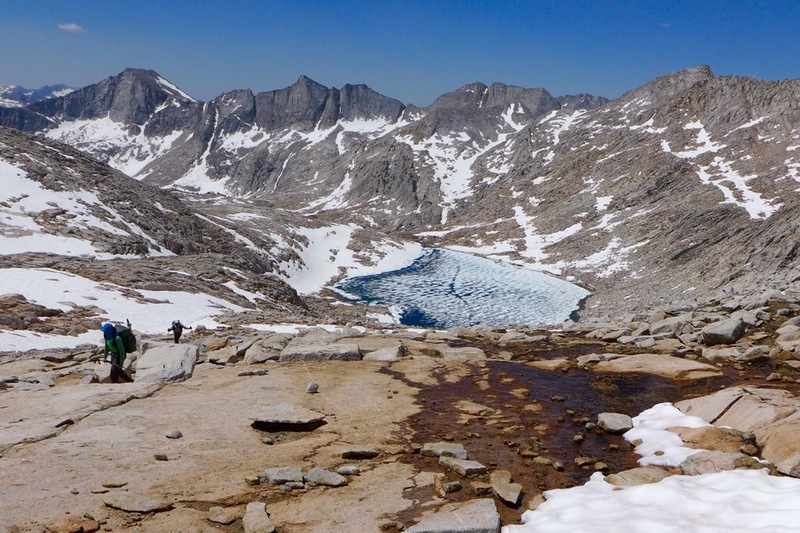 For those of you who aren’t familiar with the Sierra High Route, it’s an approximately 195 mile largely cross country trek through California’s highest mountain range. It traverses thirty-three passes by way of boulder fields, talus slopes, granite slabs and the occasional meadow or lake basin. It ain’t no walk in the park; metaphorically, rather than nationally speaking (shout out to Yosemite & Sequoia/Kings Canyon). Approaching Feather Pass | Sierra High Route (photo courtesy of ladyonarock.com). So, what’s Rockin’ & Why Not’s secret? How did they do it? Their secret is that there is no secret. 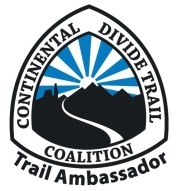 Both are experienced hikers that are constantly looking to improve and challenge themselves. They make a concerted effort to stay in shape all year round by eating healthily and exercising regularly. When out in the boonies, they travel as lightly as the dictates of safety allow. And most importantly, they share an unconditional love of spending time in the wilderness irrespective of the terrain or season. No fad diets or fitness crazes, no new-agey “long distance hiking is really 90% mental” approaches here. Wilderness lifers such as Rockin’ & Why Not exemplify that there are no shortcuts to hiking longevity. 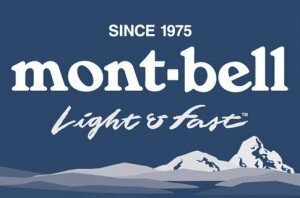 No “late 50’s and beyond” backpacking silver bullets. Put in the work, spend as much time as you can out in the woods and develop an enduring appreciation of the natural world. Insert ironic voilà here. 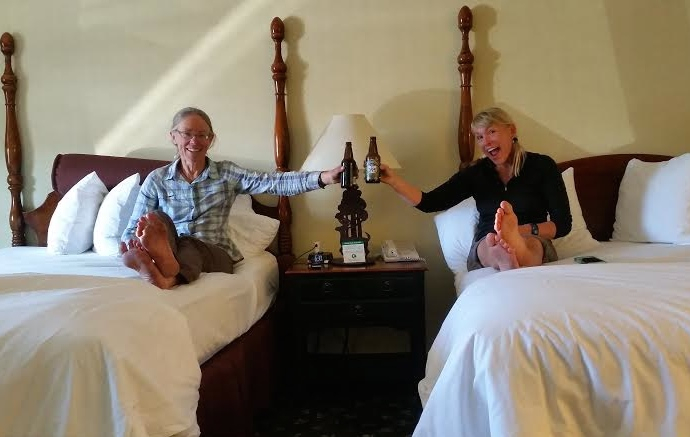 Almost forgot; when it’s time to celebrate at journey’s end, be sure to put your feet up and enjoy a post-hike libation whenever possible! Agree! I am not-quite-senior-in-my-mind at age 64, and am hitting the JMT for the second year in a row. Slow and steady, early bedtime, early rising, and always celebrating my youth is my formula. I overlook two horrible knees (no ACL on left, shreds on the right), back issues, and strained ankles, all of which slow me but don’t stop me. I believe the mountains are the ultimate fountain of youth. Hike on! Love this, I am 55 and my friend is 66. Our non hiker friends are horrified on the hikes we still do and how we push ourselves. Even when we are beat down with lost toenails, blisters, aching knees, and a broken bone…..we are mapping out our next peak. Thank you for sharing this and love your posts. Hike on woman and hope sometime to see you on the trail. Would love to know what these two awesome ladies do “off-season” to stay in shape. I’m 57 and always been thin. Now developing middle age chubbiness in the middle and my hubby and I are starting to hike regularly. The JMT is on our bucket list! Thanks! Check out their blogs. They hike, hike and hike some more. For them there is no off season. I only fell in love with backpacking 3 years ago at the age of 43. I have often lamented the fact that I didn’t appreciate this wonderful activity when I was younger. Posts like this remind me that I still have many great adventures ahead of me. Thanks! LOVE LOVE LOVE, they are my mentors! While eating healthily and exercising regularly are critical to enjoying the outdoors, a certain amount of luck also applies, in that unfortunate things can just happen. I also have to be my own medical team. As I age (52) I find more and more little “problems” – tendonitis here, achy joint there, every day something new, or so it seems. I have to decide whether to ignore and work through it (usually), figure out what it is and how to manage it (sometimes), and when to back off and let something heal (rarely but perhaps more often in the future). I think it’s just part of getting older. I hope when I’m Why Not’s age I can still get out there! Truly an inspiration. The encouragement I need to just do it. Nancy is my hero, because she has always approached things with the attitude that she can learn it and improve upon it. She has a zest for life and shares the adventure. Admire her courage to meet the challenge. I too am of a “certain age”, with the additional challenge of a muscle metabolism problem that compromises recovery. But I still have a long bucket list that includes the High Route. I hope to keep alpine thru-hiking into my 80s! In addition to keeping fit, I find that attention to walking ergonomics, rhythm and technique play a large part in keeping me in the hills. I’ve worked consciously on developing an efficient, low impact walking stride. Watching experienced Alpine guides has taught me a lot about the importance of rhythm – they simply glide over difficult ground with no excess effort. I use lightweight zero-drop shoes, ergonomic PacerPoles, and a pack based on the principles of the Aarn bodypacks which enables me to walk upright and balanced even when carrying many days of supplies. I adopt a very steady pace that I can keep up from dawn to dusk with few rests. I can strike camp in a few minutes at first light, and access everything I need during the day without taking off my pack. Younger, fitter folk will zoom ahead during the morning, but I often trundle past them when they set up camp and am many miles ahead by the end of the day. With half a century of experience I can usually keep relaxed and positive even when things get wet, windy and sketchy underfoot. And I’ve learned what comforts I need and what I can live without. It’s the cumulative benefit of all these small factors that keeps me moving along challenging walks despite encroaching decrepitude. And – touch wood – decent ergonomics means that I’ve never had an injury that’s taken me off the trail. Our bodies may be crumbling, but we have developed some skills we can fall back on! Great post and encouraging. The statement re: half century experience caught my attention. I have been in the frame of mind and practice of steady, persistent, rhyhmic hiking for some time. I always find myself ahead of and not nearly as tired as the ‘fast’ group. And it is so much more enjoyable. Thank you for your post. Informative and, again, encouraging. Yes – I often find I can outwalk younger, much fitter people if their technique is poor. On the other hand someone like Cam, with both fitness and technique, would leave me in the dust. But unless you’re an endurance athlete shooting at records, you have to ask: how fast is fast enough? For me, that means fast enough to complete a thru-hike within the weather window, or a high level route with a reasonable load of food. Looked at like that, I’ve still got a bit in hand. And when more ambitious walks are no longer possible, there’s no shortage of shorter walks to enjoy! I am truly inspired by this post and can’t wait until I retire so that I can hike all the time! I hiked the AT in 2014 with my partner. We were in our mid 20’s. We would bust out a series of big days, feel like superstars and then laze around for a few days. All the way to the end we were paced up with two ladies, Freckles and Drag’n’fly. Freckles was in her mid 60’s, Drag’n’fly was 74! I had the immense pleasure of meeting and hiking with Jan McEwen and WhyNot over this past weekend! Nancy is an amazing inspiration, so down to earth, knowledgeable, and kind. Her life is my goal! To hike for many more years, to be healthy, curious and adventurous! Thanks for your message. I couldn’t agree more in regards to Nancy. She’s a great lady, who I’ve been fortunate to count as a friend since we first met in 2011. Best of luck on following your hiking/adventure dreams! You two really Rock!! Way to go and a true inspiration for us on this side of the field of laziness and self limitations. Heck with this and let’s get out and explore the beauty of the outdoors.